The Hussy, a Wisconsin mainstay, were part of the very first live review to ever be published on this site. 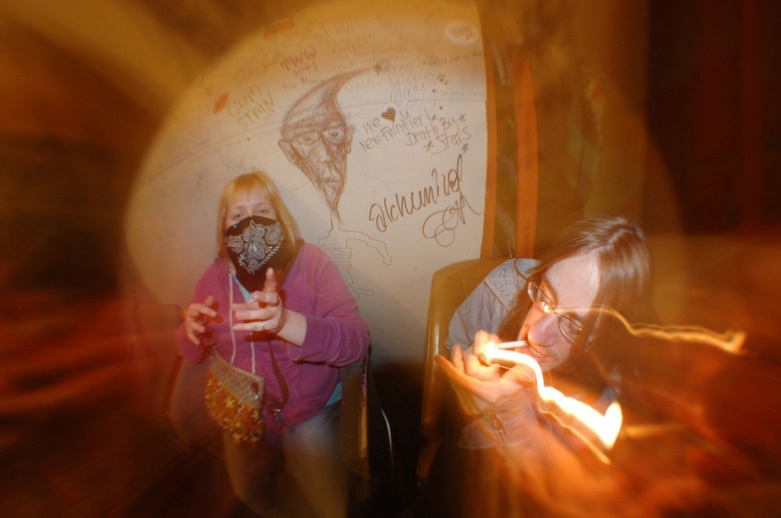 Even before then, the duo held a connection to the site’s archives: one of the first live sets to ever be uploaded to YouTube was one of their very first shows (at the dearly-missed Appleton house venue that was run by members of Tenement, The BFG). Since then, the band’s become a celebrated force in DIY punk and found friends in the likes of Ty Segall and Thee Oh Sees, who have championed the band on more than one occasion. For the past several years, the duo- made up of Bobby Hussy and Heather Sawyer- have managed to sustain a schedule that sees them releasing nearly one full-length for every year, continuously upping their levels of ambition. The band’s upcoming full-length, Galore, was recently unveiled as part of Impose’s excellent Week in Pop series and sees an extension of that pattern. Before the project was revealed in full, the pair offered up their scorched-earth single “Turning On You”. As manic and urgent as anything in the band’s discography, it immediately showcases the band’s innate charisma and sets about doing its best to destroy everything in its path. As bruising as it is exhilarating, it proves that The Hussy haven’t lost their touch and goes an even longer way in justifying their insanely prolific release schedule. Turn it up or get out of the way; all that’s left in its wake is smoldering wreckage. Listen to “Turning On You” below and pick up Galore from Southpaw here.